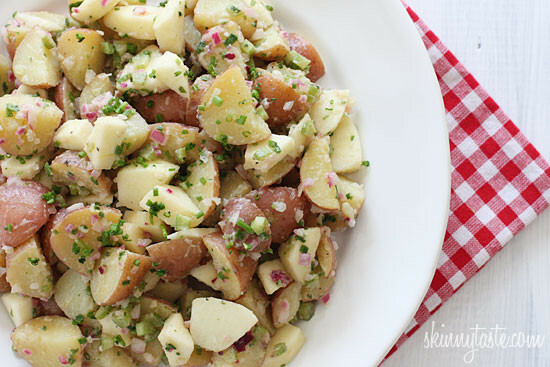 Apples add a sweet crunch to every bite of this lightened up potato salad. 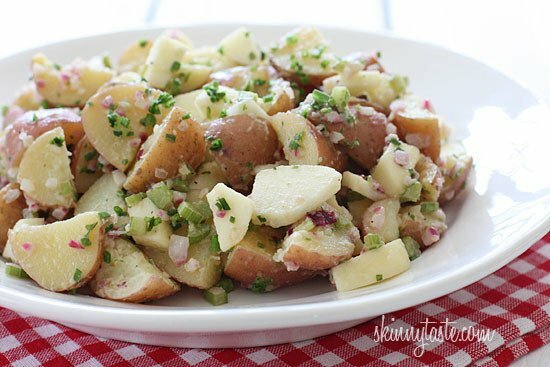 A perfect side for any backyard BBQ or picnic. You can easily double this recipe to serve a larger crowd. 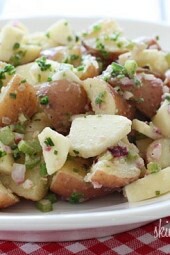 While the potatoes are boiling, combine red onion, celery, mustard, olive oil, vinegar and mayonnaise and season with salt and pepper.